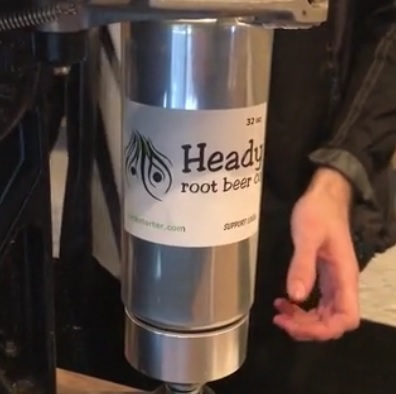 Hardware … Hank’s Root Beer? So some of my coworkers learned about my root beer infatuation, and went to look up where they could get some of the top brews. Last week one of them triumphantly announced that he’d found the best at a hardware store and bought a whole case of it. “Hank’s?” I asked. He replied yes, the one with the guy on the label. Guy on the label? Hanks doesn’t have a guy on the label, what was he talking about. The next day he brought me a four pack and sure enough, there was a guy on the label. Some hardware store guy. I had to figure out what was going on. So I got in touch with my friends at Hank’s. Turns out around 20 years ago, when they were expanding into the mid west, they go in contact with Hardware Hank a chain headquartered in Plymouth, MN, where I currently live coincidentally . The Hardware Hank marketing guys liked the idea of a tie in soda, and have featured Hank’s Root Beer (and other flavors) in their stores ever since. It’s been a big hit when they have tent sales and other events and has been mutually beneficial for both brands. The year 2017 happened to be Hardware Hank’s 60th anniversary, so Hank’s Root Beer made a special neck label to celebrate for their loyal customer. Some three trailers were produced and were sold exclusively in the Hardware Hank stores during their anniversary sales events. There’s still some floating around it seems, which caused all the confusion with me and my coworker. 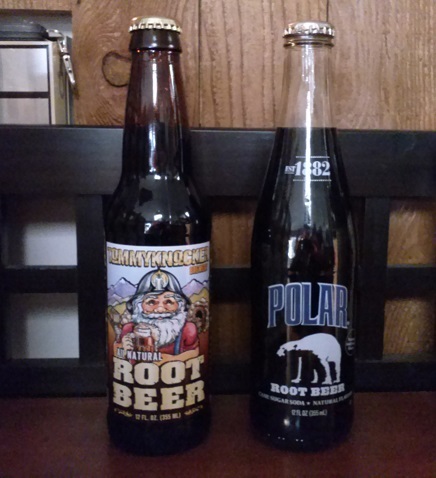 If you’re a collector of root beer bottles, you may want to try and snag one while they still can be found, or if you just want to drink the best root beer ever, you may just want to drop by Hardware Hank.